So close to South Windsor and downtown Manchester, but without the extra drive time or stop lights. 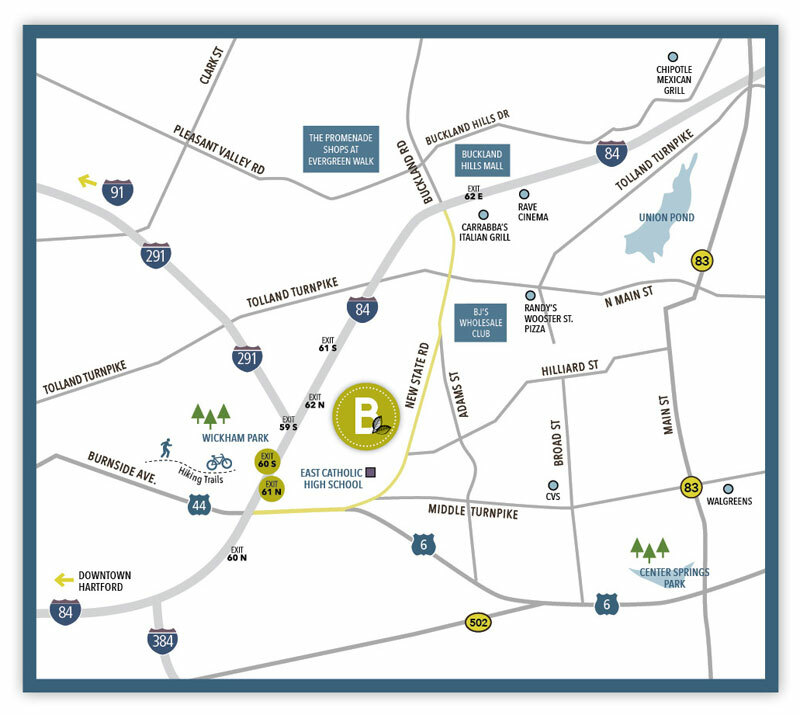 At Broadleaf Boulevard, you are naturally closer than ever before to home from I-84, I-291 or Route 6, not to mention, you’re one exit closer to everything; work, play, and more. If retail therapy is in order, you’re just 2 minutes away. There is so much to do, Broadleaf is where you need to be.